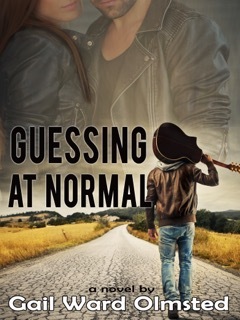 Former actor and stage director Anne R. Allen is a wonderfully funny mystery writer who loves to bring some levity to what can be dark, heavy topics. Anne also co-authors a well-written, widely read blog and has worked on joint projects with other writers, so in addition to penning her own books, it’s clear she knows how to operate as a team player. What a pleasure it’s been getting to know Anne and her work, and if you haven’t already read her books, we’re thrilled to introduce her to you. Q You combine comedy with mystery writing. That can’t be easy, or is it? 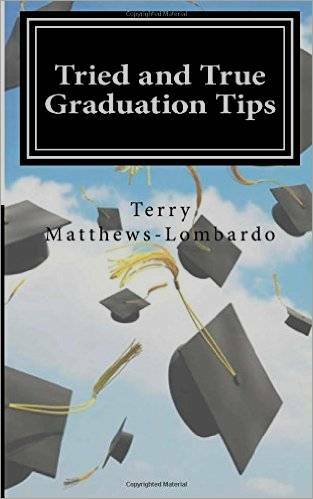 What is the easiest and/or most difficult aspect to writing this type of book? A Actually, what’s hard for me is taking the comedy out of my writing. I find humor in everything. Always have. When I was about seven, I used to put on puppet shows in my back yard. Lots of carnage. Lots of laughs. I was a twisted kid. LOL. When I try to write heartfelt, deeply emotional stuff, it falls flat. I like fast-paced stories that are fun, but leave you with something to think about later. Mysteries were an obvious choice for me. I’ve been a mystery fan since I read my first Nancy Drew book, and since then I’ve read all the classics: pretty much everything by Agatha Christie, Dorothy L. Sayers, Margery Allingham, Ngaio Marsh, Josephine Tey, Chandler, Hammett, etc. I’ve written a few books that aren’t standard whodunnits, but they always have a mystery element. I think I like the structure involved with the mystery genre. My newest book, So Much for Buckingham, is the 5th in my Camilla Randall series of comedy-mysteries. It deals with some major issues: cyberbullying and character assassination. I also delve into the mystery of whether Richard III really killed the princes in the Tower (I don’t think he did.). Camilla’s best friend gets accused of killing an historical re-enactor dressed as the Duke of Buckingham. The only witness is apparently the ghost of Richard III. I hope people will find it funny and thought provoking. Book #4, No Place Like Home, deals with homelessness and “bag lady syndrome”—the fear many older women have of ending up homeless. Q Many writers today struggle with how to fit into this new e-landscape we’re seeing. What advice would you give to someone just starting out? A Number one: let go of the idea that paper books are the only “real” publishing. Most authors now make the bulk of their money from e-books. Also, accept social media as a necessary evil and then find aspects you can enjoy. For me, it’s blogging. Every author needs to find a place online where they can interact and make friends. That’s where we find readers and mentors—and maybe an agent and publisher. I’d also add this advice to new writers: don’t believe everything you read online. Lots of the publishing advice on the internet is old, misguided, or just plain wrong. Always consider the source and read widely. Q Who has been your greatest life or business mentor, and why? A I’m very lucky that I made friends with my Central Coast (CA) neighbor, Catherine Ryan Hyde (author of Pay it Forward and Amazon superstar) early in my career. She has been an inspiration and mentor to me for the last two decades. She’s an amazing human being. I am so blessed that she agreed to co-write a handbook for writers with me: How to be a Writer in the E-Age: A Self-Help Guide. Q You and I are both representatives of the “Boomer” generation. What advantages would you say we have over our mother’s and grandmother’s generations? A Oh, there are so many! Tech alone has totally changed the process. I started writing in the days of typewriter ribbons and carbons, and younger people don’t realize how time consuming all that stuff was. No cut and paste. One typo and you had to start the page over with a carbon. And of course there’s the fact women have so much more freedom and respect than they did in the early and mid-20th century. As an unmarried female, I’m not expected to live with other family members as their live-in servant, the way “old maids”, divorcees, and widows did in my grandmother’s day. Even my mother had to fight hard for respect, even though she had an Ivy League PhD in English literature. People accept me as an authority because of what I say, not my gender. That’s such a huge thing that younger women take for granted. Q Writing is far more difficult than most people understand. Was there anything in your past professions as an actress and/or stage director that helped prepare you for this role of writer? A Acting and directing are great preparation for a novelist! As an actor, you learn you always need motivation for whatever action you take on stage. A novelist needs to remember that even the most minor characters need to have a goal and a purpose in every scene. As a director, I learned what short attention spans audiences have, and how to keep up the pace and never let up. The immediate feedback of rapt attention and laughter vs. coughing, rustling programs, and trips to the restroom lets a director know what works and what doesn’t. Q What would you say has been the most difficult personal lesson for you to learn in life? A I used to be way too trusting and giving. When I was younger, I always judged other people by myself and assumed everybody had honest, altruistic motives. I’ve had to learn that accepting people as they present themselves can lead to grief. Learning to recognize narcissists and sociopaths and avoid letting them dominate my life has been a huge (and tough) life lesson for me. But I’ve had so much fun killing them off in my novels! LOL. Also, I’ve had to accept that I have more highly tuned senses than most people, so I can easily get over-stimulated—which leads to health problems. So I can’t push myself past my limits with things like NaNoWriMo, big conferences, or marathon book tours. Learning that I’m a “highly sensitive person” has finally allowed me to learn to say no to overload and overwhelming situations. Q What do you see as the future for publishing and the new e-technology, and why? A Obviously the e-reader has changed the publishing industry in a major way, and the changes keep coming. I’d like to believe the publishing industry won’t go the way of the music business, where everything is expected to be free and people think artists shouldn’t be paid. Definitely the new paradigm has led to a lower bottom line for most traditional authors. It has also given rise to the self-publishing movement, which is great for a lot of authors, and I’ve even self-published some of my own books. But the “Kindle gold rush” is over, and lots of amateur writers who hoped to make millions are giving up now. Kindle Unlimited has cut into the self-publishing bottom line in a major way for a lot of us. Self-publishers will need to spread a wide net on many platforms and many countries in order to succeed. Things will never return to business as usual pre-Kindle days, but we also can’t party like it’s 2009. Self-publishing will continue to be a viable option, but only the savvy and hard-working will make a living at it. Q You’ve collaborated on three projects now, one with author Catherine Ryan Hyde, and two with NYT million-seller author, Ruth Harris. Can you tell us a little about them, and what you feel are the advantages of writers partnering? A I have co-written one book with Catherine Ryan Hyde. Ruth and I collaborate on our blog and we put together a two-fer boxed set of two of our novels, CHANEL AND GATSBY, but we didn’t write them together. We just combined her CHANEL CAPER, and my GATSBY GAME in between digital covers. I’ve also worked with other novelists on some boxed sets and anthologies, when we worked a lot on co-promotion. These were fantastic opportunities to network with other authors in my genre and meet new readers. I think authors should jump on any chance to collaborate with other authors in boxed sets and other co-promotions. It’s a fantastic way to expand your readership. Q Blogging has become something more writers are discovering, but often struggle with how to create a “voice” or meaningful content. What recommendations would you give to writers just starting out on this blogging path? A Actually, I’m writing a book the subject. Because I’ve managed to build a very successful blog, averaging about 90,000 hits a month, with nearly 4000 subscribers, I think I am uniquely qualified to help new authors build a blog. The most important thing to remember about blogs is that they are part of social media, and social media is, well, social. Authors need to interact and respond to comments, as well as visit and comment on other blogs. A good way to find your voice is to pay attention to how you comment on other blogs. Use that voice on your own. Don’t preach, brag, or condescend. Just chat. Treat people as if they’re visitors in your living room. Q What are your thoughts on the traditional vs self-publishing debate so prevalent in our industry right now? A I don’t think all authors are cut out to self-publish. It’s very hard to make the big time if you’re starting to self-publish right now and you’ve never been published before. The days of breakout Amazon stars like Hugh Howey are pretty much over because Amazon’s algorithms no longer favor indies, and Kindle Unlimited has drastically reduced royalties. It’s also hard to get traction on other retailers like iTunes and GooglePlay if you’re an indie. But self-publishing is fantastic for established authors who get dropped by their publishers, or who want to supplement their income with novellas and stories between “big books”. I would recommend that non-tech-savvy writers try for traditional publishing first, especially if they write literary fiction or children’s lit—which sell better in brick and mortar stores. I don’t know of any literary writer who has an exclusively indie career that’s taken off. I think that’s because literary writers depend on reviews in established print magazines. And children’s books (except for YA) don’t sell as well in e-books as adult genre fiction does. But it is true that writers going the traditional route need to be much more wary than in earlier times. They need to find agents or small presses that understand the new paradigm and will allow them to self-publish between books, and won’t offer odious contracts that tie up work for your lifetime plus 70 years. I’ve been with a series of small presses, some of which were better than others, but they always gave me my rights back with no problem. I also learned a lot and got great editing. I think most authors should plan to self-publish at some point, but I don’t think it’s a good first step for most genres, unless you’re really a savvy marketer with a lot of books in the hopper ready to go. Q What is it about writing mysteries, especially those with, ahem, older female protagonists that draws you in and holds you? A I love writing stories that mix mystery and romantic comedy, especially when the protagonists are older people. In No Place Like Home, 60-yr old former billionaire, Doria, reconnects with her homeless high school sweetheart. That was so much fun to write. And how often do you read romantic stories about older people? It’s fun to do something different. Q What’s next for you, Anne? A So Much For Buckingham launched July 8th and is now available. After that, I’m working on a series of short books for new authors on subjects like blogging, building a platform, writing that first chapter, etc. I’m calling them “two-hour courses” –simple, “just the facts ma’am” type information you might have to plow through a lot of big books or blog archives to get. Plus, I put my own humorous spin on things. I’ll also be starting my next Camilla book, which has the working title, The Knight of Cups. Anne blogs with NYT million-seller Ruth Harris at Anne R. Allen’s Blog…with Ruth Harris (http://annerallen.blogspot.com/), named to Writer’s Digest for Best 101 Websites for Writers. She is also the author of eight comic novels, including the hilarious Camilla Randall Mysteries. SO MUCH FOR BUCKINGHAM, which launched July 8, 2015, is #5 in the series but can be read as a stand-alone. 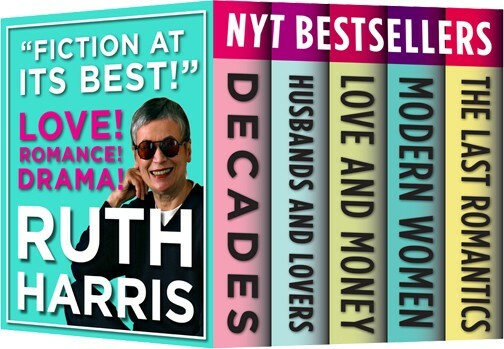 Ruth Harris is a million-copy New York Times and Amazon bestselling author and Romantic Times award winner for her critically acclaimed women’s fiction novels. Add that to her co-authoring thriller novels with her husband, Michael Harris, and co-blogging with author, Anne R. Allen. This is one talented, busy lady! Her quick mind and witty repartee are keenly evident in her answers to our questions about writing, life, and trying to find a semblance of balance. Join us in welcoming Ruth to our writing stage! Q Ruth, every writer dreams of hitting the million-seller list, but what has surprised you the most since you reached that mark? A What surprised me (even though I was expecting it) is the fact that nothing really changes. Once you’re past the initial thrill, your life goes on. Meals need to be cooked. Laundry needs to be folded. Books are just as easy/hard to write. You have good hair days and bad hair days. Any writer who thinks hitting a best seller list is going to change his/her life is lost in a fantasy. Q Writing is a looong journey fraught with many mountains and valleys. What advice would you give to new writers just starting out? A Keep it real and get prepared for the long haul. Q You also write critically acclaimed thriller novels with your husband, Michael, which is a tremendous accomplishment. What would you say are the benefits and/or downsides to this type of up-close-and-personal collaboration, and why? Seriously, here’s a look at how it worked (for us) when we had a major disagreement. Q Who would you say has been your greatest life or career mentor, and why? A My father, who LOVED words/language, is remembered by those who knew him (including me) as “always reading.” He was also a news junkie—all traits I inherited from him. My mother was a great story teller. She was an RN who worked in a big city hospital and told sad/funny/outrageous stories of life and death with verve and panache. Q Your life goals/dreams have included becoming an ice skater and lawyer, before getting involved in publishing and writing. For the most part, each of these extremely challenging choices focuses on the development of the individual’s skills. What is it about these types of challenges that intrigue and draw you in? A They never get boring. Always new ways to fail, new ways to succeed, always something new and different to learn/try/do. Q By your own admission you like to write about “strong, savvy, witty women”. What is the message you are trying to convey to women who read your books? A Don’t give up! Persistence is the key and don’t feel bad about your neck. Q I’m sure you have a very full day, every day. How do you balance life and work to find a reasonably satisfactory compromise? Q It’s interesting to note that you write in several genres. Has it been difficult to find your niche market? A Probably. But, as I said above, don’t give up. I’m not. Q What has been the most difficult lesson for you to learn, and why? A Patience is numero uno! Q Could you tell us a little about how you and author Anne R. Allen came to collaborate on a blog? A Anne invited me and I said yes. Simple as that. Q Like so many other writers, you struggled with blogging and what to blog about. What advice would you give to writers who also struggle with the what, when, where, and why of blogging? Q What’s next on your agenda, Ruth? A I’m writing a series of cozy mysteries set in the small town called New York City. Glam setting. Quirky characters. Friendly natives. Really!